In Bahati (a massive slum area within Kenya's largest city), the Missionary Sisters have established a child rescue mission in an effort to help save the lives of these little ones before more of them die. 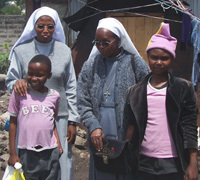 "The boys and girls here are poorer than anyone could possibly imagine," Sr. Jane Ann (director of the shelter) explains. "Many of the children were found at the city dump -- digging for something to eat. Once we see them there, our Sisters tell the children to come here. Once they are here, we offer them a hot meal as well as provide them medical care if they are in need." 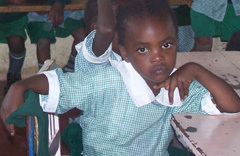 YOU CAN SPONSOR A CHILD IN BAHATI TODAY!